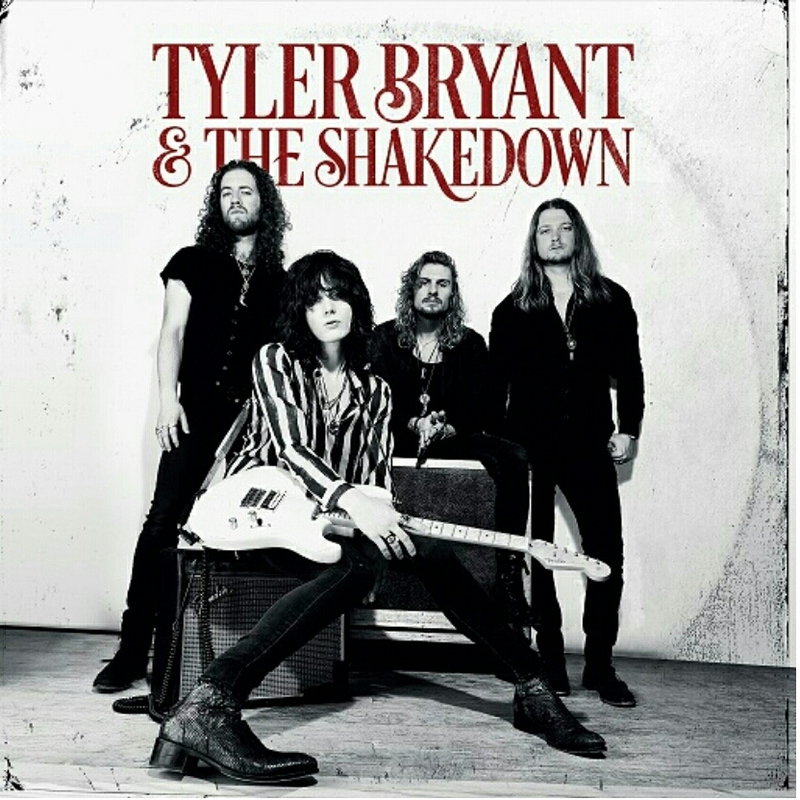 Rock, blues, energy, tenderness, killer guitar riffs …some days ago, I introduced you here the American band Tyler Bryant & The Shakedown and their self-title awesome album. 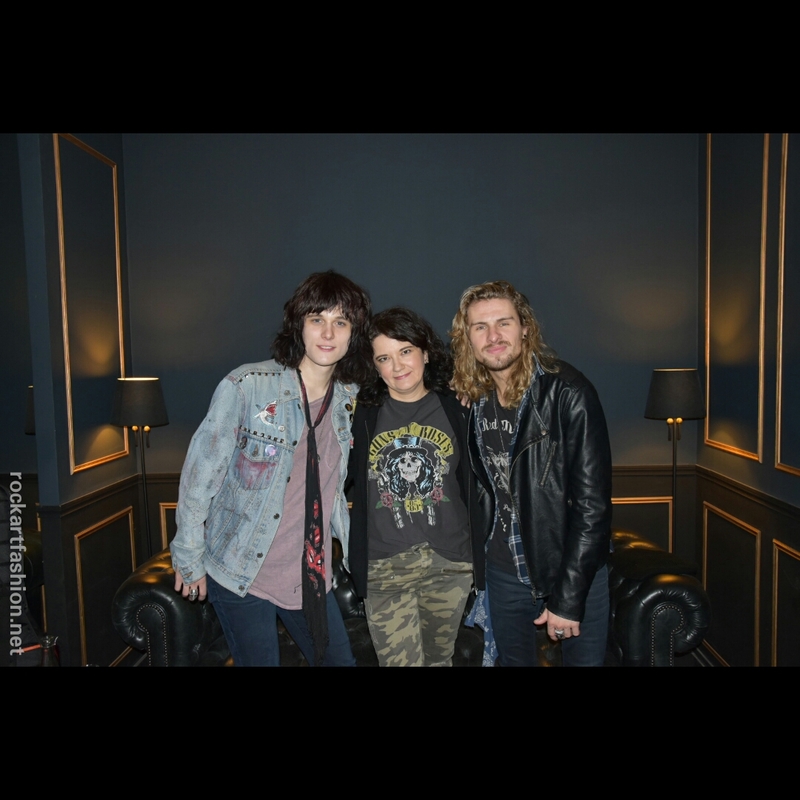 It is now the good occasion to learn more about them as I had the great pleasure to meet Tyler Bryant (guitar and vocals) and Caleb Crosby (drums), one day before the kick off of their Ramblin’ Bones European Tour, and we discussed about their music, friendship, fashion style, hobbies and many more. The nice Rockers, still slightly suffering of an inevitable jet lag, welcome me, number 27 or 28 on their interview list, with great smiles and compliments on my Guns N’ Roses T- shirt. Well, it starts pretty cool! 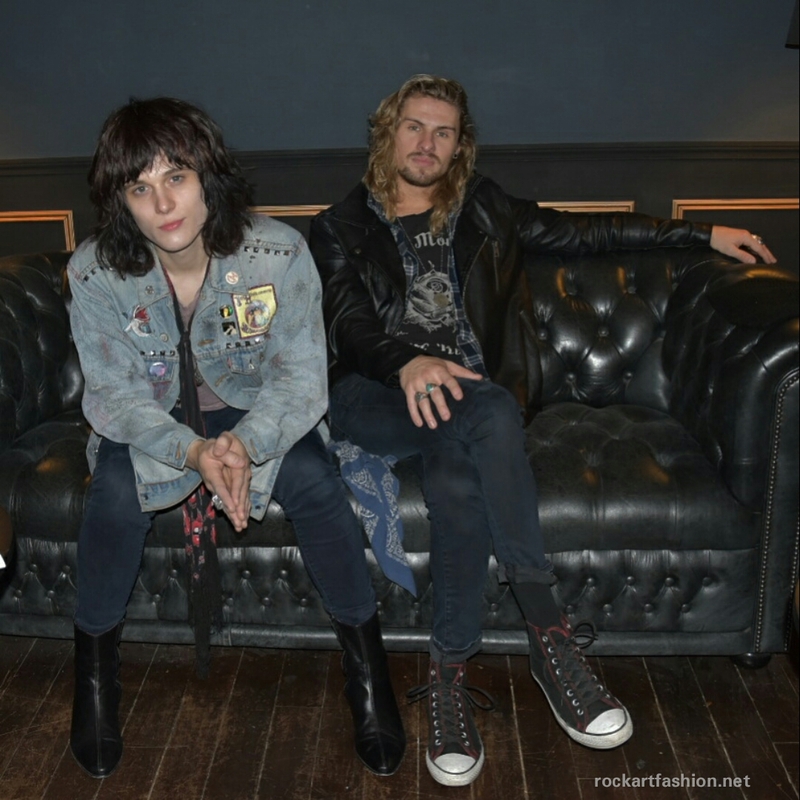 Check out our fun chat and do not miss them at La Maroquinerie in Paris on 29th of November or one of their European tour dates. You toured with Guns N’ Roses, AC/DC so big venues, big arenas, now you start touring smaller venues, clubs… Is it the same feeling for you or it is different? Caleb: For us it is the same, regardless of how many people we are playing for. We approach everyone the same, if it is 60k or 60 people. And the clubs for us, that’s home. We love the intimate setting, we are really excited about the shows we are about to do. I think it is going to be great coming off of all that big shows and to do our own shows, in a lot of the same cities, with a lot of the same people. And now people will come to see The Shakedown shows. It’s gonna be cool. 18 days – 15 shows, only 3 days off and most of these days we are traveling, but we like it that way. Tell me about Nashville. I know that you are in love with Nashville, both of you arrived in Nashville to make music…what it is special and inspiring about this city? Tyler: I come from Texas and Nashville has this sudden charm that I gravitated towards… There are so many talented people here. It is nice to be surrounded by light minds, you know, different writers, producers and engineers. If you ever run out of inspiration, you just can go to a party and feel love by hanging out with some light minded and creative people. Then I can go home and lock myself up and make something. That’s the most inspiring about this city to me, we have an inspiring group of friends around us. It just fun to be around. That kind of energy. Caleb: I moved there actually for going to university, I was looking for several spots…I am from a small town and to me, Nashville was the small town – big city. But when I went there for the first time it wasn’t overwhelming. It’s starting to get that way now. it’s so different now, then it was 10 years ago. But it’s good in more ways than it’s bad. Traffic is worse but the music in the city is getting better. I love the people. All our friends are so talented. We have a good group of friends, we collaborate and make art together and that’s fun. It’s something about that city that it is inspiring and I love it. New album, what can you tell me about it? How did you build it, when did you have time to do it with all this busy schedule? 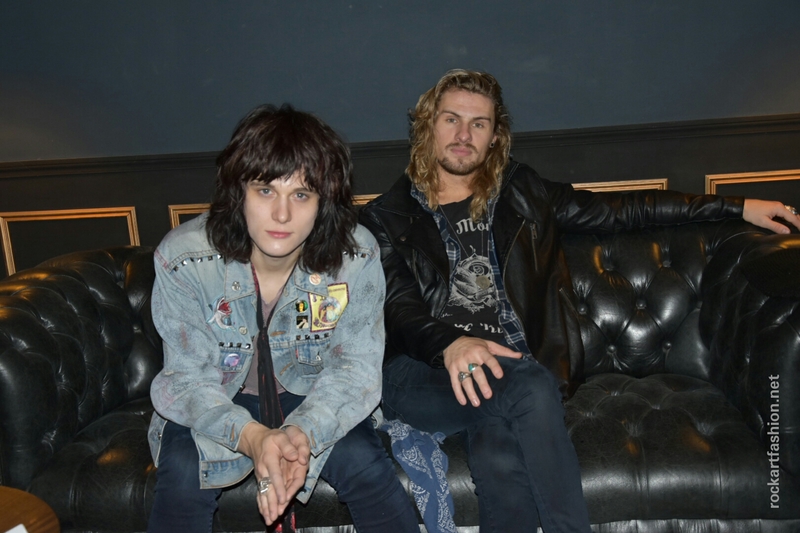 Caleb: Yeah, and we had some time this spring between the Singapore and the European Tour with Guns N’ Roses and when we were in between labels. We left our major label deal as we just realise that it is time to take the reins back, take full charge of our careers and release music. You want to release stuff, you are sitting on songs that you want to be released and you just can’t. We have been on the road with AC/ DC, we did a lot of shows with Guns, and we learned a lot. And we said to ourselves – you know what – we have no budget, we have the time, we have all these songs: Let’s just do it! And we came up at Tyler’s home studio basement, that’s where we rehearsal, we are writing, we just do everything. We did it on our own. We spent countless hours getting sounds, and all the stuff that you do when you make a record. We had no limitations and that, I think it was fun. We had nobody to tell us what to do, like you need to record this song or don’t do this song and so on. We did the songs that we wanted to do and that was inspiring. So, we finish it, we did the tour and we ended up signing a deal when we were in Europe with Spinefarm – Snakefarm Records. They signed the record on because they love it. They love it how we made. It thinks it is cool do to it like that rather than some label trying to tell you what record to make. We sent it to John Fields in States to remix it and his brought this kind of modern sonic element. He mixes more pop stuff and made it feel a little bit more modern, that kind of warm vintage sound that feels very relevant and competitive. And for us, it was what we wanted. We are in 2017 and we wanted to keep our integrity. That’s the story shortly. But well, I can keep talking forever. Caleb : My favourite is changing very often, especially now, that we are playing them now in live. But a consistent favourite, I would say for me, it is Backfire. Caleb – Yeah stuff like that…and for whatever reason, we said you know what, we are just gonna create right know because this is our way not thinking about all that stuff. And Graham had this riff so we wrote the song in half an hour. We made this demo and we use it on the album as it was, the guitar and other stuff. For me, this song is so Shakedown. I felt it was so us. It felt to me like stadium rock. When we were writing it and playing it, I just picture it. We actually haven’t done yet in the stadium yet but I am excited to do it. Tyler: I think my favourite is probably Jealous me. That one was not originally intended to be a Shakedown song. I think sometimes you are writing the best tunes when you are not writing with the purpose, just writing and following the art where it wants to go. That song is written more in an electronic type of things and we end it up liking it. We took it to the band and it got a new life. I will ask you then Into the Black. We were thinking about his little new born niece, just came into the world and about his father who has passed away no longer before that. Like the circle of life – someone leaves a legacy and this new person is born. It thought it could be cool to put this on a song to celebrate this new human being. Since, it was his tuning and his guitar riff, I just thought this could be a good subject for the song. Caleb: I remember too, when we spit the words and Tyler was saying “I took the step into the black” and it was kind like of wow. I felt like sort of paralog of our life as well. At the time we wrote that song we had no idea where we are going to get. In a way, all of us were taking a step into the black and I loved that image. We were all going into black, as we had no clue of what is going to happen with the album. You know, like I see you on the other side. I love that song, too. What is your musical influences? What do you listen? Tyler: All over the place from blues to classic rock to old school country. Caleb: I listen to everything. I try to pull inspiration from everywhere. I like hip hop, I grew up on Motown, gospel… I love Rock n’ Roll, I love Tom Petty and the Heartbreakers. I love jazz also. As an artist is great to be inspired by everything. You can get inspiration from everywhere by everything. And if you had to pick up one song that changed your life and made you become a musician? Tyler: Well, I did not learn about that song until I was already a musician but I would say “Taking it with me” by Tom Waits – it is one of the song that inspired me to always try to be a better song writer. Caleb: I loved Michel Jackson as a kid. I was just captivated by him, all of his songs and his person. And I would say that recently, maybe with his passing away – Learning to Fly by Tom Petty. I took my girlfriend to see him in Nashville this spring and it is always a spiritual moment when he plays it live. I always loved that song, but live, with people, it is really special and even for her, it was like never experienced a thing like that. It gave me a lot to think about it. It’s just a great song and I think it will always be one of my favourites. You guys know each other since long time, you write music together, you toured together… what did you learn from each other – personally and musically? Caleb: I am constantly learning from him to be honest. I think that the good thing is that we push each other. We are similar people but very different, so we bounce off each other in goods ways. I think that’s why we work well together. Tyler: He is one of the few people I’ll listen to in the world. You know like if I am overthinking something, he is like – hey dude step back here, you’re overthinking. We basically become brothers from living together on the road, spending so much time on stage and behind the scenes. We actually lived together for a couple of years, and we made music every day. Tyler: it was something like – hey dude I am bored, do you want to do some music? Caleb: He inspires me constantly to be creating. It is funny, even if you are not technically writing, you can still be creating in your brain, picking up things that happening around, being observing, documenting that stuff like putting in a file. And all that stuff can come out on a song later. On stage, really from day 1, the first time we played together, it was special. I never played with someone in that type of chemistry and energy. Tyler: We rehearse like 2 times and we said, Ok, we are a band now, let’s go and play. Caleb: I know he is gonna do before he does it and he knows what I am gonna do before I do it. Tyler: He knows what I am going to do before I know what I am going to do. Tyler: We’ve done recordings before where I came and I told him – you need to play drums on this song for me and he said ok, how is it going – and I said don’t worry just go in there. Caleb: He just plays a bunch of songs that he knows and I just follow him or whatever. Tyler: He’ll killing it even if he did not know the song before. It’s kind of cool or maybe not. Maybe, I am just too predictable. Let’s talk a bit about fashion. What’s your fashion style? Tyler: Oh man, it’s changes depending on the mood, I suppose. We get really into fashion actually. Hey, I just perked up, we’ve be talking about guitars and stuff like all day… so let’s talk about some clothes. Cool! I’m total boots whore. I love leather boots. There is a company in London called Jeffery West and I love their boots. I just picked up these Beatle boots (He shows me his black leather awesome boots) from a company named Beatwear. There is a shop in Nashville that I love, Carnaby Street. We love leather jackets, denim. I painted this jacket myself to have fun – (he shows me his denim jacket with lot of badges and tags) – you can see my Springsteen badge, my shark, AC/DC, Hendriks, Michael Jackson, Motley Crue, my favourite record store. Just like classic stuff. Caleb: I like jewellery like American turquoise, chiefs, necklaces, rings… I love boots too. I play drums and as I’m using the feet so much, I’d like to be more comfortable, like in Converse. I can go to Good Will and find something that I like and then I can just cut it, rip it up, and making look cool. Caleb: I feel the same. Do you have a favourite piece of garment that you will never throw away or give it to someone? 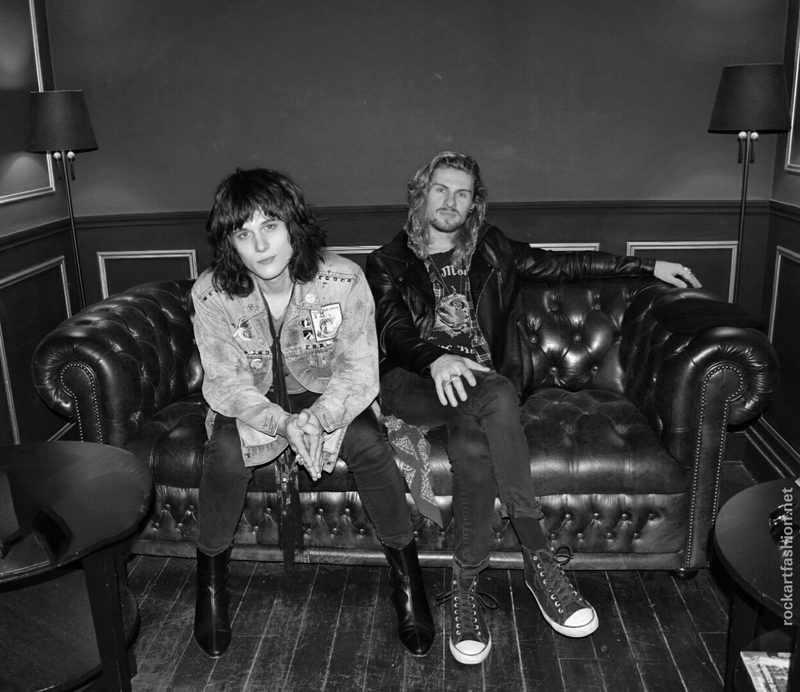 Tyler: Yes, for a while I’ve been checking this designer named Christian Benner, I wanted to purchase one of his leather jacket and finally, he made me the coolest leather jacket that I’ve ever seen. It’s really cool. I will probably wear it every night on stage this tour. Caleb: Yeah, it’s so cool. He is so talented. I’m gonna get one now. I have a pair of boots of my dad, alligator boots. They look really good and I do not want to mess them up. I’ll never get rid of them or give them to anyone. Tyler: I’ve got my dad’s old FFA Jacket (the Future Farmers of America). It’s pretty cool, it got my home town name on the back of it. You got cool style, too. How about another art or sport, something that you like to do when you are not doing music? Caleb: I love all sports. I play but I do not play any league or something as I do not have time. But I play baseball, football. I love watching college basketball – Kentucky League. I love snakes. I have a snake at home and it’s a good pet for me to have as you can leave it at home for weeks and he is fine. Also within last year I start cooking. When I get home, I put violin record on and I cook. Tyler: I am really fascinated by tobacco pipes. My great grandfather and my great uncle had pipes and I inherit to a couple of them. I am fascinating with wood working and how they are created, so I kind of collect those. I stop to pipe shops on the road, and try to find cool and unique pipes. And my other hobby would be fishing. Nothing really feels like that. Just go and sit into the dead silence and fishing. Caleb: I go with him sometimes. I am pretty impatient but I’d love to fish. Tyler: I do not even care of catching a fish, but just be active – threw it out and bring it in. And I love, you know, being outside and getting your hands dirty. What’s your favourite social media? Caleb: Probably Instagram. Social media is pretty easy to get caught on it if you have to build a band or a brand. But I tried not to overdo it. I think it is important. It’s something that you have to stay current on it. Tyler: I like to look new guitar players on Instagram. There are so many different, that’s pretty cool. I also like You Tube as you can find full concerts. Caleb: yeah, You Tube is the most insane place, you can find a video of anyone doing anything. It’s so wild to me. What would you like to tell me and I did not ask you about: the album, the tour, the music, whatever you want? 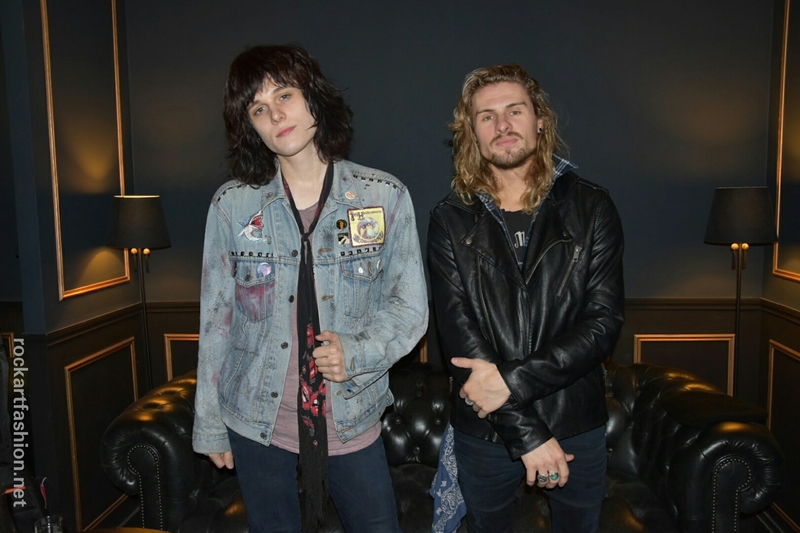 Caleb: We are just really excited for the tour, we got a lot of love for Europe and for the UK and being away from home and feeling the connection that people have to our music is pretty special to us. The fact that we have the first official headline tour over here and playing the new songs is pretty great. I just know that I can speak about the other guys even they are not here, but we are super excited for it. We’ve been rehearsing a lot, learning the new songs, we work hard and to be able to share it live with people, that’s really special for us. Tyler: We are also excited to go next year on tour with Blackberry Smoke. It will be fun, too. Caleb: Yeah, actually we will be touring at home, thing that we haven’t done for a while. Some shows were cancelled because of hurricanes and stuff over the last couple of months. We are excited to jump around and do some rock festivals in the States and as well as some headlines. That will be fun and then, we will be back in Europe probably next spring or summer. 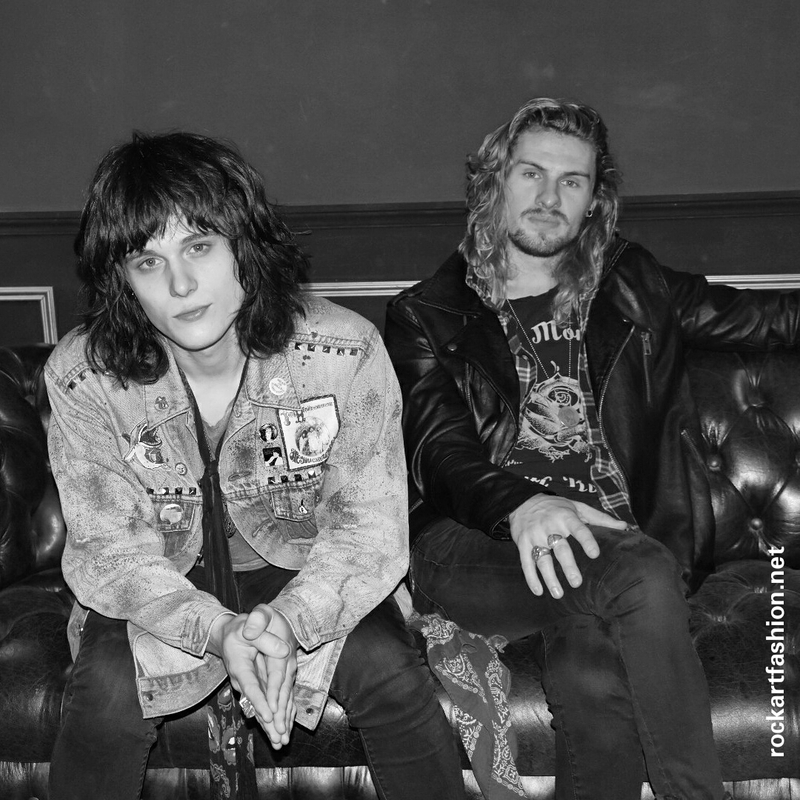 Rock, blues, énergie, tendresse, des riffs de guitares délicieuses… il y a quelques jours, je vous ai présenté ici l’album éponyme du groupe American, Tyler Bryant & The Shakedown en concert à La Maroquinerie à Paris, le 29 novembre 2017. 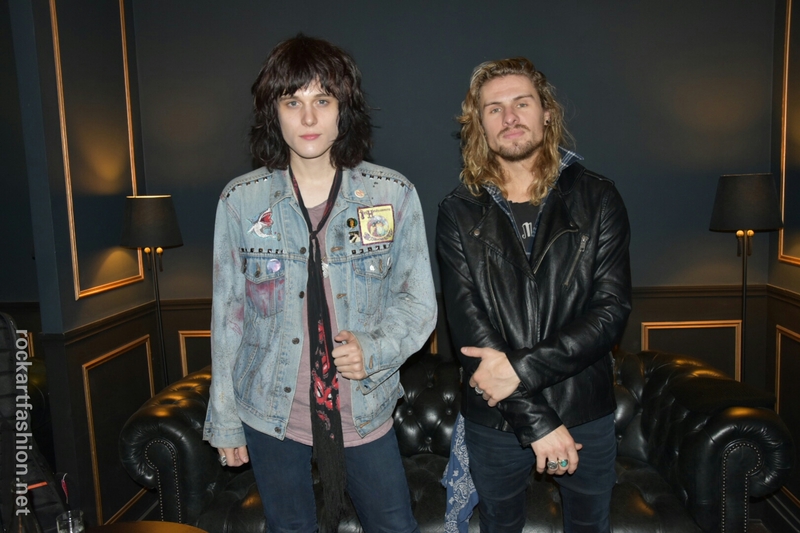 Eh bien, c’est l’occasion d’apprendre un peu plus sur eux, car j’ai eu le grand plaisir de rencontrer Tyler Bryant (guitare et chant) et Caleb Crosby (batterie), un jour avant le coup d’envoi de leur tournée Européenne Ramblin ‘ Bones. On a parlé musique, amitié, fashion style, hobbies et beaucoup plus. Les deux rockers de Nashville, légèrement souffrant de décalage horaire, m’accueillent avec des grands sourires et des compliments sur mon T- Shirt à l’effigie de Guns N’ Roses. Ça commence donc assez cool pour moi, numéro 27 ou 28 sur leur liste des interviews ! Voilà la suite de notre fun chat. Vous avez fait des tournées avec Guns N’Roses, AC/DC dans des stades, des grandes salles de concerts et maintenant vous commencez la tournée de petits clubs… C’est le même sentiment pour vous, ou c’est différent ? Caleb: Pour nous, c’est le même sentiment quel que soit le nombre de personnes nous jouons pour. Nous abordons les concerts de la même façon que ça soit devant 60000 ou 60 personnes. Et les clubs pour nous, c’est chez nous. Nous aimons les shows intimistes. Nous sommes vraiment impatients de faire ces concerts. Je pense que ça va être génial de se détacher un peu de tous ces grands shows et faire nos propres spectacles à nous, dans presque les mêmes villes, avec les mêmes personnes. Et maintenant les gens viendront nous voir nous, Tyler Bryant & The Shakedown. Ça va être cool. 18 jours – 15 concerts, seulement 3 jours de repos et la plupart de ces jours nous allons voyager, mais nous aimons comme ça. Parlez-moi de Nashville. Je sais que tous les deux, vous êtes amoureux de Nashville, qu’est-ce qu’est spécial et inspirant dans cette ville ? Tyler : Je viens du Texas et Nashville a ce charme soudain qui gravitait autour de moi… Il y a tellement de gens talentueux ici. C’est agréable d’être entouré des esprits brillants, des musiciens, des écrivains, des ingénieurs, des producteurs. Si jamais tu es à court d’inspiration, tu peux tout simplement aller à une fête et trainer un peu avec ces gens créatifs, sentir l’amour, puis rentrer à la maison s’enfermer et écrire quelque chose. Nous avons un groupe d’amis qui nous entoure et nous inspire. C’est juste fun d’être là. Il y a ce type d’énergie. Je viens d’une petite ville et pour moi, Nashville, était la grande ville petite, et quand j’y suis allé pour la première fois je n’ai pas trouvé que c’était une ville oppressante. Ça commence à le devenir maintenant parce que beaucoup de choses ont changé par rapport à il y a 10 ans, le trafic est pire, mais nécessaire pour l’économie et la musique de mieux en mieux. J’aime les gens. Tous nos amis sont tellement talentueux. Nous avons un bon groupe d’amis avec qui nous collaborons et nous faisons de l’art ensemble. Il y a quelque chose dans cette ville qui nous inspire et j’adore ça. Parlez-moi un peu de votre nouvel album. Comment vous l’avez construit, quand avez-vous eu le temps de le faire avec votre emploi de temps si chargé ? Caleb : Le nouvel album, nous l’avons fait par nous-même. Tyler : D’où le titre éponyme. Caleb : Oui, et nous avons eu quelques temps ce printemps entre le Singapour et la tournée européenne avec Guns N’Roses. Nous étions aussi entre 2 labels. En fait, nous avons quitté notre label et nous avons enregistré l’album par nous-même, car les choses n’avançaient pas. On s’est rendu compte qu’il était temps de reprendre les rênes, prendre la charge complète de nos carrières et sortir de la musique. Nous avons été sur la route avec AC / DC, nous avons fait beaucoup de shows avec les Guns, et nous avons beaucoup appris. Et on s’est dit bon, on n’a pas de budget, on a le temps, on a toutes ces chansons so Let’s Do it. On a enregistré dans le studio au sous-sol de la maison de Tyler, là où on fait nos répétitions, on écrit. On a tout fait par nous-même, en passant d’innombrable heures pour avoir le bon son et enfin, tous les trucs que vous faites lorsque vous enregistrez un album. Nous n’avons eu aucune restriction, on a eu une liberté totale ce qui a été très cool. Nous n’avons eu personne pour nous dire quoi faire et comment le faire, d’enregistrer tel chanson ou pas. Nous avons fait les chansons que nous voulions faire ce qui a été une grande source d’inspiration. On l’a fini, on est parti en tournée et juste avant de rentrer d’Europe on a signé avec Spinefarm – Snakefarm Records. Ils ont signé l’album parce qu’ils ont aimé comment nous l’avons fait. Nous l’avons envoyé à notre ami John Fields pour le remixer et il lui a apporté ce type de sonorité moderne. Comme il mixe plutôt de la pop, il lui a donné ce côté vintage chaud, plus moderne et plus compétitif. Et pour nous, c’est ce que nous voulions, nous sommes en 2017 et que nous voulions garder notre intégrité. Bon, c’est un peu la courte ou longue histoire de l’album. Je pourrais parler à l’infini. Je voulais vous demander de décrypter quelques chansons mais je n’arrive pas décider lesquelles car je les aime toutes, c’est à vous de choisir votre morceau préféré et m’en dire plus. Et pour une raison quelconque, on a dit : vous savez quoi, nous allons créer quelque chose juste pour montrer quel est notre façon de ne plus penser à tout ça. Et Graham avait ce riff, donc nous avons écrit cette chanson en une demi-heure. Nous avons fait la démo et nous l’avons utilisé sur l’album telle quelle, avec les guitares et tout. Pour moi cette chanson est tellement nous. C’est du rock fait pour les stades. Je l’imaginais déjà quand nous étions en train de l’écrire. C’est une chanson qui unifie, tu sais, avec les bras levés. Tyler : Mon morceau préféré est sans doute Jealouse me. Cette chanson n’était pas initialement destinée à être une chanson de Shakedown. Je pense que parfois tu écris les meilleurs accords lorsque ton but n’est pas d’écrire une chanson mais quand tu laisses juste ton art aller là où il veut. Elle a été écrite plus dans une façon électronique mais on a fini par l’aimer et on lui a donné une nouvelle vie. C’est ma préférée. Et Into the black ? Tyler : C’est un ami, Roger Alan Nichols, qui est venu avec ce riff et il nous a suggéré faire le riff en acoustique pour le faire. Alors, j’ai essayé d’apprendre ce riff le meilleur que je puisse faire, j’ai complètement déconné là-dessous. On a rajouté quelques cordes pour le refrain et avant que les autres gars arrivent en studio avec notre ami, nous avons commencé à jouer avec quelques mots pour le refrain. Nous avons pensé à sa nouvelle nièce, qui venait de naitre et à son père qui était décèdé juste un peu avant. C’est le cercle de la vie, quelqu’un laisse un héritage et en même temps une nouvelle personne est née. On a pensé que ça pourrait être cool de mettre cela sur une chanson pour célébrer ce nouvel être humain. Et puisque c’était son riff de guitare, j’ai juste pensé que cela pourrait être un bon sujet pour la chanson. Caleb : Je me souviens aussi, quand Tyler a sorti cette phrase “I took the step into the black” (j’ai mis un pas dans le noir) et ça a été comme Wow. J’ai senti que cela ressemblait à ce que nous faisons à ce moment-là. Car, à l’époque, quand nous avons écrit cette chanson, nous n’avions aucune idée où on va aller avec notre album. En quelque sorte, chacun d’entre nous mettait un pas dans le noir et j’ai aimé cette image. Nous étions tous dans le noir et « see you on the other side » (on se verra de l’autre côté). J’adore cette chanson. Quels sont vos influences musicales ? Qu’écoutez-vous ? Tyler : Un peu de tout : du blues au rock classique à old school country. Caleb : J’écoute du tout. J’essaie de tirer l’inspiration de partout. J’aime le hip-hop, j’ai grandi avec le Motown, gospel … J’aime le Rock’ n Roll, j’adore Tom Petty and the Heartbreakers. J’adore le jazz aussi. En tant qu’artiste c’est important d’écouter et de s’inspirer de partout. Et si vous aviez à choisir une chanson qui a changé votre vie et qui vous a poussez à devenir un musicien ? Tyler : « Take it with me » de Tom Waits – j’ai découvert cette chanson quand j’étais déjà musicien mais elle m’a toujours inspirée et poussée d’essayer de devenir toujours meilleur compositeur. Caleb : J’aimais Michel Jackson comme un gamin. J’ai été captivé par lui, par toutes ses chansons et sa personne. Et je dirais que récemment, peut-être parce qu’il nous a quitté aussi – « Learning to Fly » par Tom Petty. J’ai amené ma copine le voir à Nashville ce printemps, et c’est toujours un moment spirituel quand il joue live cette chanson. J’ai toujours aimé cette chanson, mais live et avec le public, c’est vraiment spécial et pour ma copine aussi, c’était une expérience unique. C’est une grande chanson, et je pense que ce sera toujours un de mes préférés. Caleb : J’apprends constamment de lui pour être honnête. Je pense que la bonne chose est que nous nous poussons mutuellement. Nous sommes semblables mais très différents. Nous échangeons nos idées d’une manière continue et je pense que c’est pour cela que nous travaillons bien ensemble. Tyler : Il est l’un des rares personnes que je vais écouter dans le monde. Quand je pense trop à quelque chose, il est comme – « hey mec, tu penses trop, arrête ». En fait, à force de vivre ensemble sur la route, passer autant de temps sur scène et en coulisses ensemble, nous sommes devenus comme des frères. Nous avons même vécu ensemble pendant quelques années, et nous avons fait de la musique tous les jours. Caleb : Oui, qund nous rentrons à la maison nous étions comme – hey nous, sommes toujours ensemble, donc je suppose que nous devrons d’écrire de la musique. Tyler : c’était quelque chose comme-Hey mec, je m’ennuie, on peut écrire une peu de musique ? Caleb : Il m’inspire toujour d’être créatif. C’est drôle, même quand techniquement tu n’essaie pas d’écrire tu peux toujours créer dans ta tête, assimiler des choses, ce qui se passent autour de toI. Tu peux les mettre comme dans un fichier et tout ça, peut sortir sur une chanson plus tard. Sur scène, vraiment, dès le premier jour que nous avons joué ensemble, c’était spécial. Je n’ai jamais joué avec quelqu’un en ayant ce type d’alchimie et d’énergie. Tyler : Nous avons répété, style 2 fois et on s’est dit Ok, on est un group Let’s go out and play. Caleb : Je sais ce qu’il va faire avant il le fasse et il sait ce que je vais faire avant que je le fasse. Tyler : Il sait ce que je vais faire avant que je sache ce que je vais faire. Nous avons fait des enregistrements avant où je lui ai dit il faut jouer de la batterie sur cette chanson et il a dit OK, je fais quoi ? – et je lui ai dit – tu n’inquiètes pas tu vas te rendre compte. Caleb : S’il joue des chansons que je ne connais pas, je fais que le suivre et ça marche. C’est cool, ou peut-être pas. Peut-être, je suis juste trop prévisible. Parlons un peu de mode. Quel est votre style de mode ? Tyler : oh, je dirais que ça change selon l’humeur. On est assez braché mode. Hey, je viens juste de me ranimer. Nous avons parlé de guitares toute la journée…et nous allons parler fringues maintenant. Cool ! Je suis accro aux boots. J’adore les boots en cuir – il y a une marque à Londres appelé Jeffery West et j’adore leurs boots. Je viens juste d’acheter ces « Beatle » boots (il me montre ses magnifiques boots en cuir noir) chez Beatwear. Ils ont un magasin à Nashville qui s’appele Carnaby Street. On aime les vestes en cuir, évidemment, le denim. J’ai peint cette veste moi-même (il me montré sa veste en jean avec beaucoup de badges, étiquettes et écussons) – tu peux voir mon badge de Springsteen, mon requin, AC/DC, Hendrix, Michael Jackson, Motley Crue, mon disquaire préféré. Caleb : J’aime les bijoux comme les turquoise américains, les médaillons, colliers, bagues… J’adore les boots aussi. Je joue à la batterie et donc, j’utilise beaucoup les pieds et il est difficile pour moi de jouer dans des boots. En général, je suis plus à l’aise en Converse. Je peux aller dans de fripes et trouver quelque chose que j’aime et le couper ou le déchirer après pour le rendre plus cool. Caleb : Même chose pour moi. Vous avez un vêtement préféré que vous n’allez jamais jeter ou donner à quelqu’un ? Tyler : Oui, pendant plusieurs années je voulais acheter un blouson Christian Benner et finalement, il m’a fait le plus beau blouson en cuir que je n’ai jamais vu. C’est vraiment cool. Donc, ça va être celui-là. Je vais probablement le porter tous les soirs sur scène pendant cette tournée. Caleb : Oui, c’est tellement cool. Il est tellement talentueux. Je vais avoir un aussi. Sinon, J’ai une paire de boots de mon père, en peau d’alligator. Ils sont vraiment bien et je n’ai pas envie de les abimer. Donc, c’est sûr que je vais les garder. Tyler : J’ai ancien blouson FFA (Future Farmers of America) de mon père. Il est assez cool, il y’a le nom de ma ville natale sur le dos. Toi aussi, tu as uns style super cool. Oh, merci. J’aime aussi les boots. Caleb : J’aime tous les sports. J’aime jouer mais je ne joue pas dans une ligue ou quelque chose car je n’ai pas de temps, mais j’aime jouer au baseball, football. J’adore regarder le basketball – Kentucky Ligue. J’adore les serpents. J’ai un serpent à la maison et c’est un bon animal de compagnie pour moi car je peux le laisser à la maison pendant des semaines et il va très bien. Tyler : Je suis fasciné par pipes. Mon arrière-grand-père et mon grand-oncle avaient des pipes et j’en ai hérité quelque unes. J’aime le travail du bois et la façon comme elles sont créées, donc, je m’arrête dans de magasins de pipes sur la route et j’essaye d’en trouver des cool et uniques. Et mon autre hobby serait d’aller à la pêche. Rien n’est aussi bien d’aller et de s’asseoir dans le silence total et pêcher. Caleb : Je vais avec lui parfois. Je suis assez impatient mais j’aimerai bien pêcher. Tyler : Je n’ai même pas besoin d’attraper quelque chose mais juste être actif, tu sais, faire le geste de jeter la canne et la ramener et puis, c’est bien d’être dans la nature et salir tes mains. Quel est votre média social favorite ? Caleb : Probablement Instagram. C’est assez facile de devenir accro au media sociaux mais c’est nécessaire si on veut construire un group ou une marque. J’essaie de ne pas en faire trop. Tyler : J’aime regarder les nouveaux guitarists sur Instagram. Il y a beaucoup. J’aime aussi You Tube car tu peux trouver des concerts entiers. Caleb : Oui, You Tube est le truc le plus dingue au monde. Tu peux trouver une vidéo de n’importe faire n’importe quoi. Caleb : Nous avons beaucoup d’amour pour l’Europe et pour la Grande Bretagne. Et étant loin de chez nous et sentir la connexion que les gens ici ont à notre musique est très spécial pour nous. Donc, le fait que nous faisons la première tournée en tête d’affiche ici, et jouer les nouvelles chansons, c’est très important pour nous. Et, je sais que je peux parler pour l’autres gars même s’ils ne sont pas ici. Nous avons répété beaucoup, appris de nouvelles chansons, nous avons travaillé dur et le fait de pouvoir partager et le vivre avec des gens ici c’est extraordinaire. Tyler : Nous sommes très contents également d’aller l’année prochaine en tournée avec Blackberry Smoke. Ce sera fun aussi. Caleb : Oui, effectivement on sera en tournée à la maison, ce que nous n’avons pas fait depuis un certain temps. Des shows ont été annulés à cause des ouragans ces 2 dernier mois. Mais nous sommes ravis de faire l’année prochaine des festivals rock aux States ainsi que des concerts en tête d’affiche. On sera de retour en Europe sans doute au printemps ou l’été prochain.